Beyond story maps, what’s the next step? 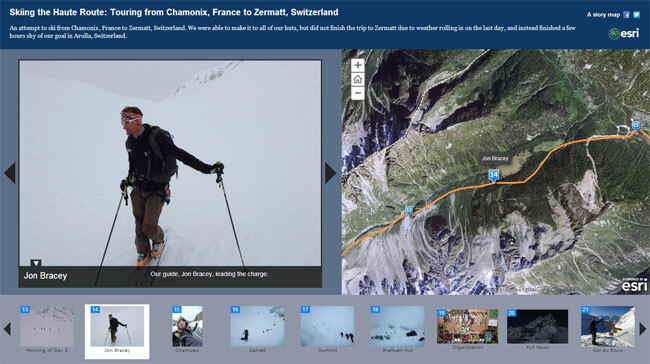 While many story maps convey important information, there’s another collection of maps that combines configurable templates, sharing, media, live feeds, and more into “purpose built” maps that deliver specific, and more importantly, authoritative and reliable information including live feeds. 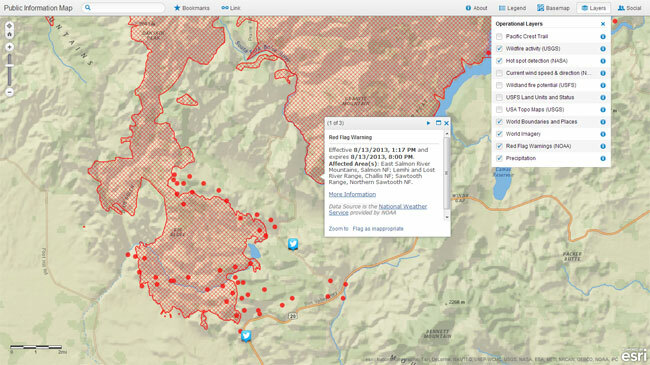 The fire perimeters are updated daily, but the MODIS hotspots tell the story of where the fire is currently active. And social media adds another aspect of on-the-ground observations from the public at large. This information map adds yet more insight by adding demographic layers to these ongoing events to gain a better understanding of the human impacts. Here’s another information map, this one delivering real-time data about hurricanes and tornados, including forecast tracks. 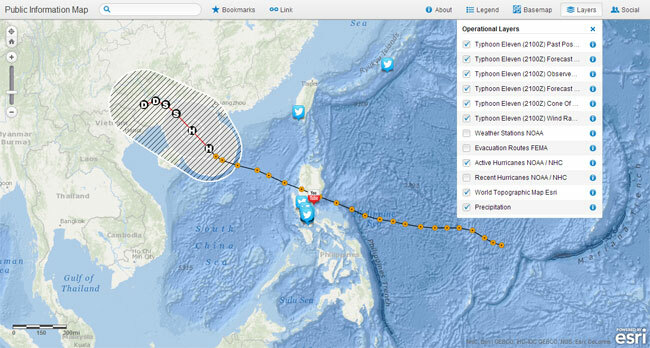 Below you can see the current and past positions, as well as forecast track, of Typoon 11 as it crosses the Philippines and nears the mainland of China. Information maps tell more than a story; they combine the best available, authoritative information into an information product, designed to meet a specific purpose and information need; they answer questions about something that is happening. 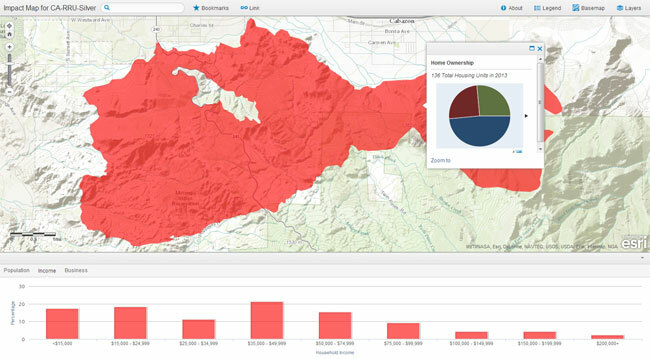 Information maps serve as reliable, decisionable collections of information, which combine GIS and mapping into an easy-to-understand web mapping experience for experts and public viewers alike. Basemaps – authored from the best available sources, and continually updated. 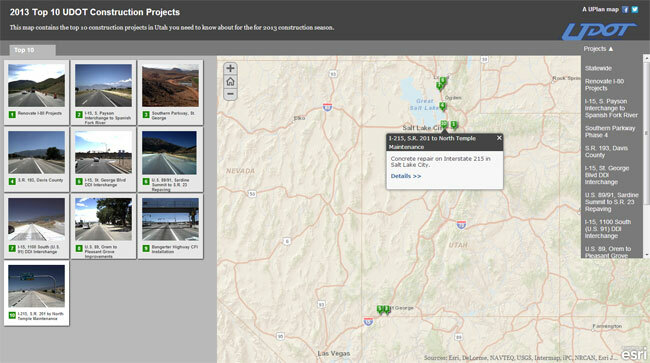 Basemaps can be chosen from a variety of themes, including imagery, streets, topographic, and more. Real-time information – information as it happens, and importantly, reliable information that is curated to ensure veracity and availability. Social media – social media provides valuable sources of information that add context and additional perspectives. Purpose – information maps are designed and implemented with a specific purpose in mind, whether it be to deliver the latest information about fires, or deliver the forecast landings of hurricanes and tropical storms. They serve to answer questions. Curated content – information is only as valuable as the source, and dependability is a must. Information maps include curated content that has been specifically identified and evaluated as both important and authoritative, and is published in such as way that it is always available and reliable. Shareable – information is only as valuable as your ability to share it with others. Information maps are designed to be imminently shareable, in their entirety or zoomed in to focus on specific areas or incidents. Usable – information maps are designed to provide an easy-to-understand user experience, delivering the power of information to decision makers, on-the-ground field crews, and the public. Configurable – information maps are configurable, enabling information choices and options when sharing with others. All these characteristics provide more than just stories–they provide actionable information maps that can help make better, more informed decisions, and provide high-value information to everyone.